You might be able to handle it! I feel ashamed for asking: what's the title say? It's fake French (which is somehow more amusing), but it says, "Cup with the soft little friend." 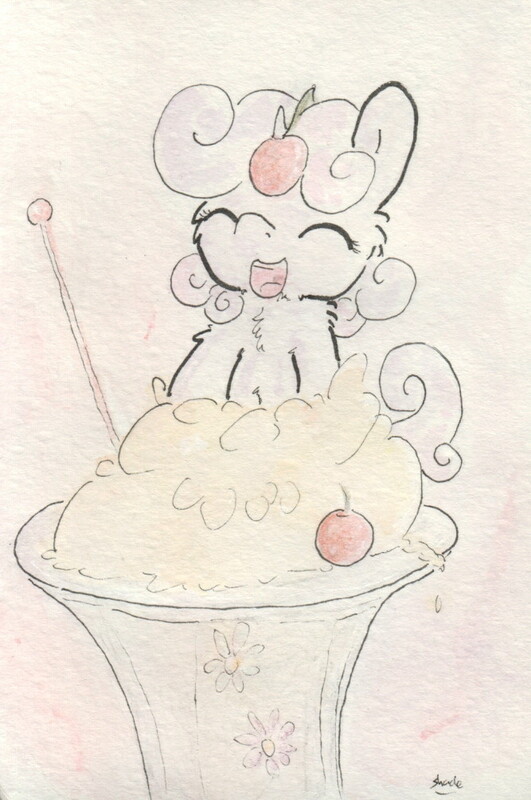 Sweetie Belle is the best topping.